Enthusiastic, knowledgeable, articulate, patient teacher with excellent communication skills. Supportive, honest, student centered approach to teaching. Photography, I,II, Color Photography, The Zone System, Photographic Advertising Design, Studio Lighting. Art History: History of Photography, 20th Century Art History, Language of Visual Art, The Museum Experience. 1995- Professor, Visual and Performing Arts Department, Albertus Magnus College, New Haven, CT.
1986-95 Associate Professor, Albertus Magnus College, Teaching a variety of studio, theory and art history courses. 1980-86 Assistant Professor, Albertus Magnus College. 2012 - present, Lecturer, part time, Naugatuck Valley Community College, Waterbury, CT. Teach Digital Arts courses. 2007-2011 Instructor, Art Institutes of Pittsburgh, Online, a division of EDMC. Teach 5 1/2 week 3 credit modules to online student cohorts located worldwide. 1981-86 Lecturer, Paier College of Art, New Haven, Photography, Foundation Studio. 1976 Teaching Assistant, Color Photography with John Pfahl, Rochester Institute of Technology. 1975-76 Intern, International Museum of Photography, George Eastrnan House, Rochester, New York. 1986-2002 Chair, Visual and Performing Arts Department, Albertus Magnus College. 1986-92 Chairman, Visual and Performing Arts Department. 1992 Vice Chair, AAUP, Albertus Chapter. 1980-present Coordinator, Margaret MacDonough Gallery, AMC. 1987-88 Faculty representative, college wide search committee for Vice President for Academic Affairs. 1984-85 Acting Chairman, Art Department. 1983-85 Vice Chairman, Faculty Assembly. 1983-85 Chairman, Voting and Procedures Committee. Embraces principles of social justice in promoting the common good. 2014 New prints accepted The Finer Line Gallery, Mystic. 2013 Group Show, Arts Aliance of Western Connecticut, Danbury Museum and Historical Society, Danbury, CT. February - March. 2013, 2012 Finer Line Gallery, Mystic, CT, New work. 2009 Featured Artist, Sprint Systems of Photography website, home page, including recent images and a link to my home website. 2006 Elementum II, Group Show, MacDonough Gallery, Albertus Magnus College, Nov, 2006. Sept 26- Nov 4, 2003. 2001 The New Digital Print, curated survey show featuring 17 artists from across the US and Canada who are exploring quadtone and archival color desktop injet printing. Margaret MacDonough Gallery, Albertus Magnus College, February 8 - March 3. 2001 Irish Journal: Digital Quadtone Landscapes From the West Coast of Ireland, solo show, MacDonough Gallery, Albertus Magnus College, March 5 - 23. 2000 Represented by Finer Line Gallery, Mystic CT. Show and sale of new digital photography. 1999 Images, Mill Gallery, Guilford, CT, national juried photography show. Displayed new digital grayscale prints on watercolor paper. 1998 Faculty Exhibit, Connecticut State University Faculty, Eastern Connecticut StateUniversity. Faculty Exhibit, Lyman Center for the Performing Arts, Southern Connecticut StateUniversity. 1997 Primavera, Margaret MacDonough Gallery, Albertus Magnus College, 17 new prints. 1996 Exhibit, Wesleyan Potters, Middletown, CT.
1995 Faculty Exhibit, Connecticut State University Art Faculty annual show, Activities: Samuel Chen Art Center, Central Connecticut State University, New Britain, CT.
1994 39th Annual Show and Sale, Wesleyan Potters, Middletown, CT.
Illuminance '91, Lubbock Fine Arts Center, Lubbock, Texas, national juried photography exhibition, juried by Betty Hahn. 1991 36th Annual Show and Sale, Wesleyan Potters. 1987 Recent Work: Photography and Clay, solo show, The Little Gallery, Albertus Magnus College. 1987 32nd Annual Show and Sale, Wesleyan Potters. 1987 Light Exposure '87, National Juried photography exhibition, Mark Cohen, Juror, Lycoming College, Williamsport, PA.
1986 Honorable Mention, Mystic Photo VIII, national juried exhibition, juried by Christopher James and Jane Tuckerman. 1986 Work accepted to National Craft Showroom, New York City, a Manhattan showcase for fine crafts. 1986 IMAGES '86, Mill Gallery, Guilford, CT, New England wide juried exhibition, juried by Gary Metz, Miles Barth and Stephen Bliss. 1986 31st Annual Show and Sale, Wesleyan Potters. 1985 30th Annual Show and Sale, Wesleyan Potters. 1985 Photographs purchased by First Bank of Boston for their Manhattan offices, represented by Photoworld. 1985 Mystic Photo VII, national juried exhibition, juried by Emmet Gowin and Doug Prince. 1985 National Mail Art Show, California Museum of Photography, University of California, Riverside, CA. 1985 Images '85, New England juried exhibition, juried by Christopher James and Bill Burke, The Mill Gallery, Guilford, CT.
1984 The Finished Print, national juried photography show, Farmington Art Guild, Farmington, CT, juried by Nathan Lyons and Marcuse Pfeifer. 1984 Holiday Exposition, group show, Guilford Handcraft Center, Guilford, CT.
1984 28th Annual Show and Sale, Wesleyan Potters. 1983 Art Faculty Show, The Little Gallery, Albertus Magnus College. 1983 27th Annual Show and Sale, Wesleyan Potters. 1983 Mystic Photo IV, national juried show, juried by Harry Callahan and Aaron Siskind. 1982 Honorable Mention, Mystic Photo III, juried by Lee Witkin and George Tice. 1982 Faculty Show, The Little Gallery, Albertus Magnus College. 1980 Recent Photography, one man show, The Hillson Gallery, Deerfield Academy,Deerfield, MA. 1979 Faculty Show, The Hillson Gallery. 1976 180' Panoramic Pin hole Color Photographs, solo show, School of Photographic Arts and Sciences, Rochester Institute of Technology. 1976 Fireworks, Thesis Show, Rochester Institute of Technology. Pinterest online pin board, 2013, Images of my work pinned by others and collected here. 97 Art Quotes about Teaching, Painter's Keys, "Excellence in teaching begins with having a profound respect for the integrity and honest intent of every student." Who's Who in Panoramic Photography "directory of the world's leaders of panorama, panoramic imaging, and VR- virtual reality; using all types of panoramic cameras and techniques." Traditional Fine Arts Organization, a non-profit organization dedicated to furthering education in American art through advocacy, grants, publication and research, Resource for discussion of Szarkowski's "The Photographer's Eye"
Cone Inks Piezography workflow "World's most recognized name in monochromatic inkjet printing". Wrote tutorial on Transfer Curve pringting with carbon pigments. The Redoubt Reporter, Soldotna, Alaska, "… should probably be read by every photographer who aspires to doing anything more than taking casual snapshots." Professor A Kerne, Computer Science Department, Texas A&M University.My resolution tutorial is part of required reading for CPSC 489 Information Media (Structures of Interactive Information). University of Pittsburg, Computing for Biologists Workshop, Spring 2004, Resolution Tutorial. Digital Camera Resource "We have searched the internet to bring you all the finest digital camera resources available on the net today." The Online Photographer, Reference to The concept of the photograph as "Equivalent"
Keenimages.com "What is the image resolution? The concept of resolution may be confusing even to experienced photographers or designers, and in order to fully understand it, we highly recommend reading at least a few articles presented below." 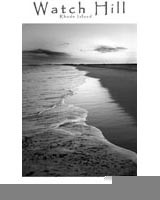 Finerline Gallery, Mystic, CT, "Featured Artists"
The Photographer's Eye: A Way of Seeing, Exhibition resource, January 19 - April 20, 2008 as referenced on TFAO, Traditional Fine Arts Organization, an Arizona not for profit arts organization. Shutterpoint Recommended Reading in online photographer's resource. EHow.com, Link to my glossary of ceramic terms in ceramics article. Beaumont, Texas Public Schools, My website is a recommended resource in digital imaging. "While there are certainly other valuable sites than the sample listed below, please limit your browsing to these and/or other educational sites. If in doubt, ask"
Dekalb County Schools, Georgia sole resource on "college 2-D syllabus"
Photocourse.com Recommended my website as online resource. Large Format Photography Forum, listed as reference article on creating stepwedge. Teacher FAQ's, "This portal site is provided as a resource for anyone looking for information about teachers and teaching.". Links to teaching philosophies. Digital Photographer, Phillippines on Winogrand and streetshooting as found on my site. Learn Digital Photography.net Directs its members to my site. Philosophy of Photography Forum, referencing my material on Edward Weston. Achem, Brazil, listed as inkjet printing resource. Professor Karen Petitto, West Virginia Wesleyan College, Class resource for my article on resolution. Digital Photography, Digital infrared resources. Cited as resource for online presentation, on color theory and principles, Images and Colors", p. 77, Florin Leon, Professor, Faculty of Computer Engineering, Technical University "Gh. Asach", Romania. 120 Teaching Videos in support of my classes posted to youtube.com and linked in my syllabi. 2018	Built raised beds for the Albertus Magnus College community vegetable garden. 2014 Donated ceramic works to "Empty Bowls", a "grassroots campaign to end hunger. by providing 200 prints for sale of the historic town green. 1971 Civil Rights worker, Mendenhall, Mississippi. Assisted the Charles Evers for Governor campaign in registering under represented African-Americans to vote in a rural farming community, south of Jackson, Mississippi. Observed polls on election day for irregularities. From the Summer 2000 poster series.